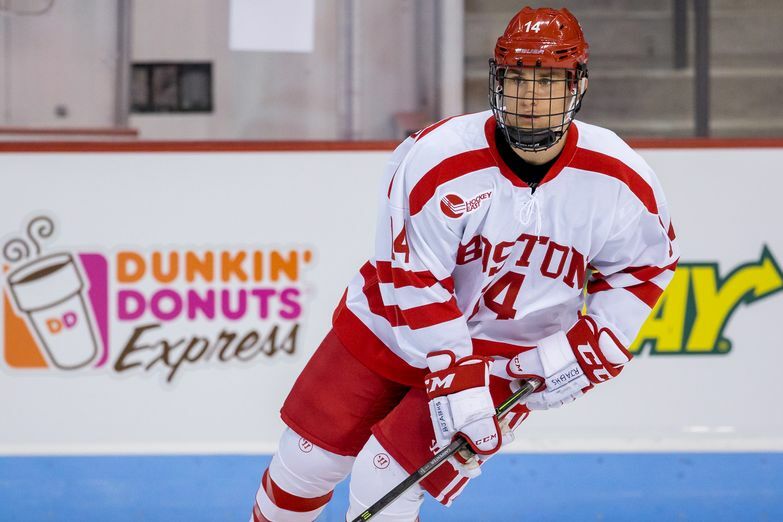 Boston University will have a completely different look this season compared to the highly touted team that just missed getting to the Frozen Four in April. But Coach Dave Quinn feels pretty good about what he sees. The Terriers are welcoming ten new players to the lineup. Nine are freshmen, five of whom were chosen in the NHL draft in June, and one is a graduate transfer from RPI, 22-year old Drew Melanson. 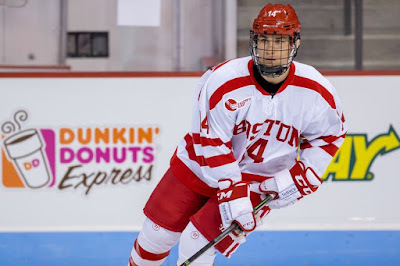 Quinn said he thinks Melanson was one of the top players on an RPI team that won just six games last year, and has the potential to be a strong contributor at BU. 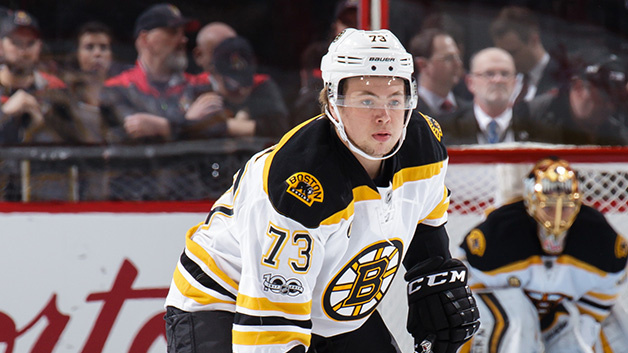 “He’s quick, has good hockey sense,” Quinn said. “He’s going to be a real good player for us.” The New Jersey native had led RPI in scoring as a freshman. Canadian Shane Bowers, taken by Ottawa in the first round, 28th overall, headlines the incoming class. The 6’1” center from Halifax had 51 points for USHL Waterloo. He’s joined by three defensemen all drafted in the third round – Finnish blueliner Kasper Kotkonsalo (#71 overall, Detroit), Canadian Cam Crotty (#82, Arizona) and American David Farrance (#92, Nashville). 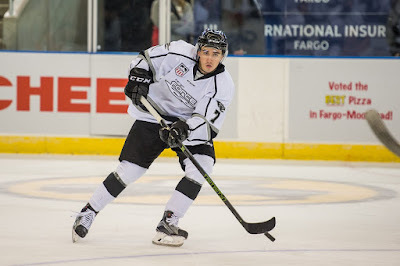 Logan Cockerill, a speedy forward whose stock is on the rise, was drafted in the 7th round by the Islanders. Also arriving are Hank Crone (photo), from the Fargo Force in the USHL, where he was 24-38-62 in 56 games, third best in the league; Ty Amonte, son of Terrier great Tony Amonte, who had a 17-20-37 scoring line in 58 games in the BCHL last year; and Jake Witkowski, a Melrose, Massachusetts native who also spent last season in the BCHL, going 23-17-40. At 20 years of age, Witkowski will add age, maturity and grit to the line up. The final freshman is Brady Tkachuk, son of former Terrier Keith Tkachuk. Draft-eligible next year and projected to be a top 10 pick, he was a standout for the American team in the recent World Junior Summer Showcase, showing both high-end skill with the puck and relentless, physical grit. The coach was serious, too. It’s a potentially punishing combination he’ll probably try at some point during the season. Quinn said he likes how this incoming group will fit with the returning players, especially leaders like Greenway, Bobo Carpenter (photo), Patrick Harper and Nik Olsson. 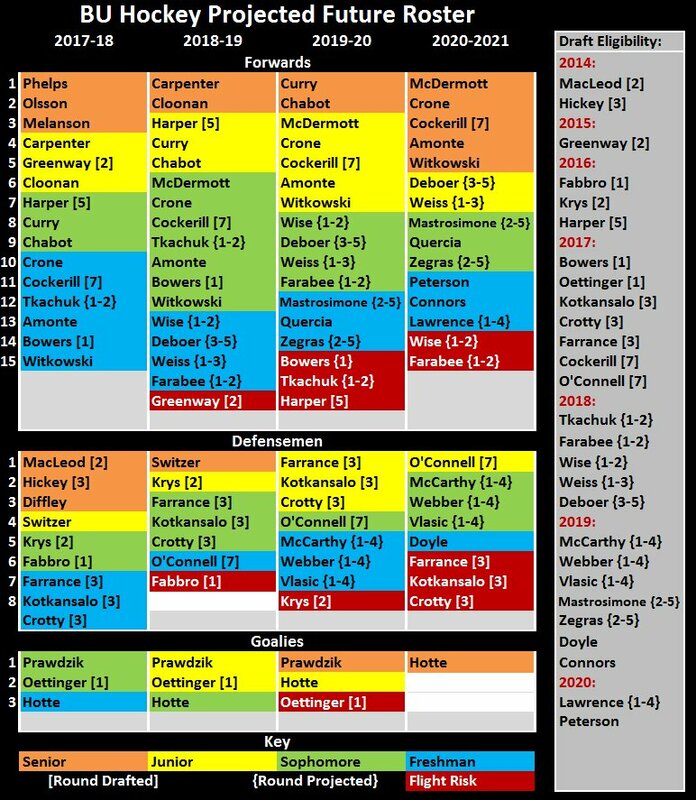 The forwards will match up with a D corps that counts seven drafted players. The Terrier goal will be minded by Jake Oettinger with a year of experience behind him and by Max Prawdzik, back from a stint in the NAHL, where he led the Lone Star Brahmas to the league title. 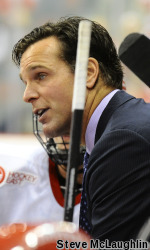 “This group has become more mature than last year, when we were the youngest team in college hockey,” Quinn said. This year’s Terrier team will likely have a more balanced attack, and should get stronger contributions from the third and fourth lines, Quinn said. And he expects many of the new arrivals to stay beyond just one or two years. SB Nation looks at which Hockey East schools have the most recruits in their pipelines for 2000, 2001 and 2002 birth years. BU has the second most with 13, trailing BC, which has 15. Northeastern is third with 10. The Hockey News’ early look at candidates for the Calder Trophy, awarded to the NHL’s top rookie, lists Arizona’s Keller and Boston’s Charlie McAvoy as #1 and #2. Thirty-four teams, including a squad of Terriers, participated in this past weekend’s 16th annual Travis Roy Foundation Wiffleball Tournament in Essex, Vermont. With attendees from as far away as California and the U.K., the event raised more than $500,000 for enhancing the lives of individuals with spinal cord injuries and their families by providing adaptive equipment and by finding a cure through increased funding of research. Roy suffered a spinal cord injury in his first game as a Terrier freshman in 1996. The injury has confined him to a wheelchair with only very limited use of one arm.